Every thing I make is my own design. 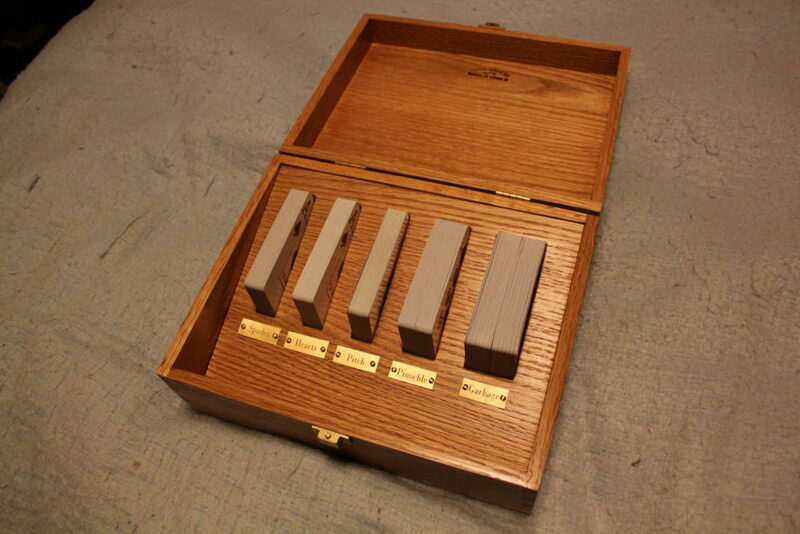 A friend of mine loves playing cards, so I built this cards organizer for an opportunity to practice making dovetail cuts. 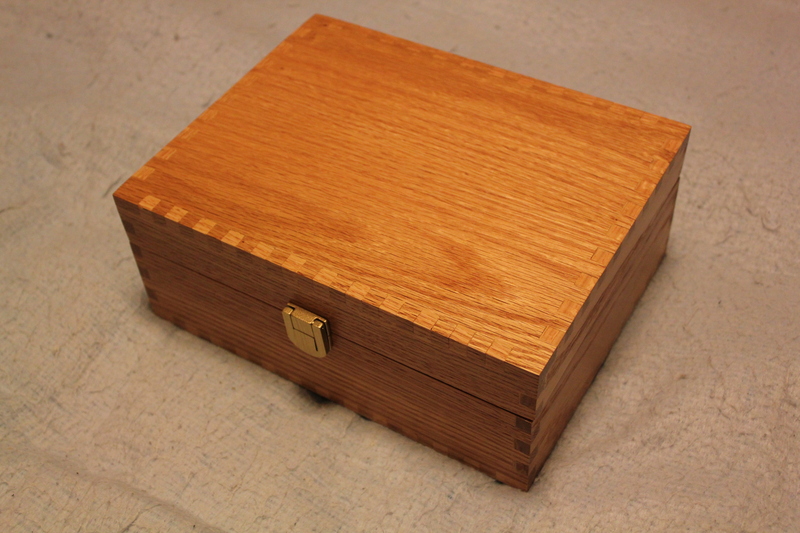 The slanted insert lifts up so you can store game rules and such inside. I love natural wood grain designs so I always use a stain and poly to show them. My mom loved gardening but found it difficult to kneel or sit on the ground. 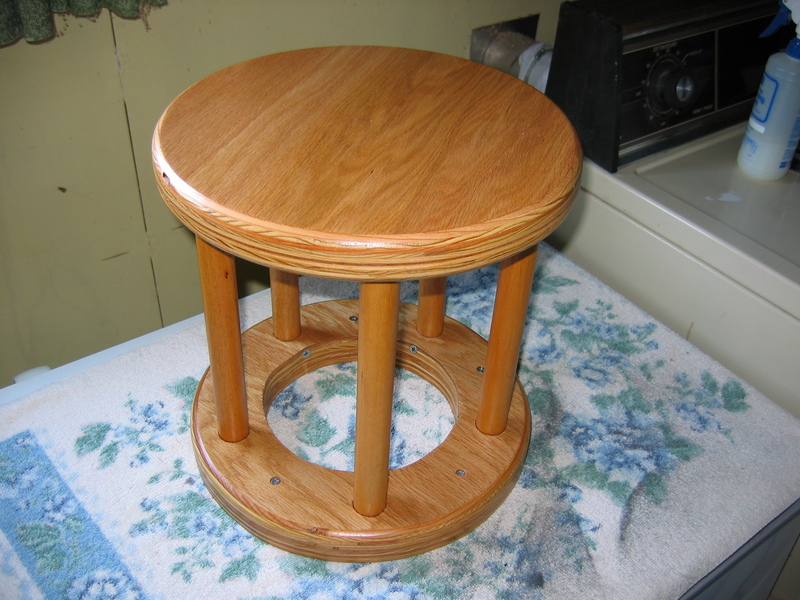 I made her this stool which stood 13 inches high. It gave her good support and she could easily pick it up by grasping one of the legs. She also needed a small storage table that would slide between her fridge and stove. 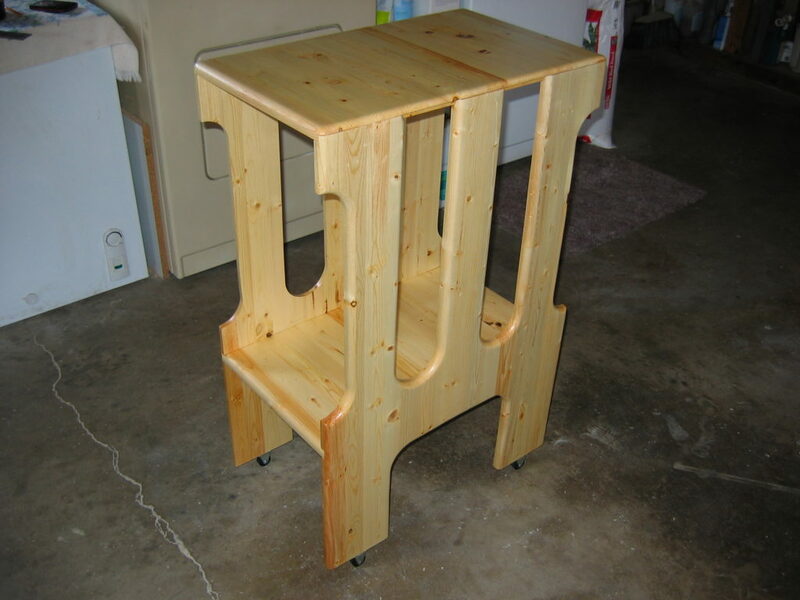 I made this storage cart on wheels out of knotty pine. 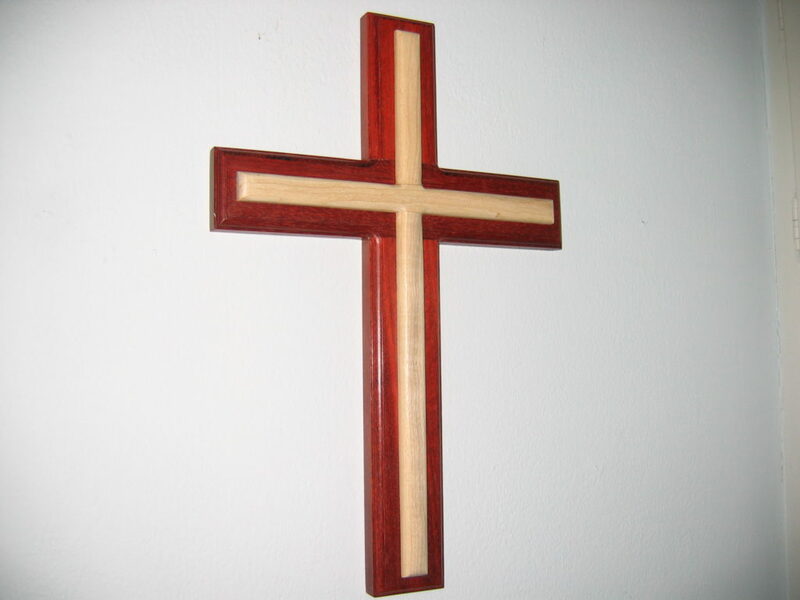 I made this cross for a friend out of bloodwood which has a natural dark red color and the inlay is made from myrtlewood. 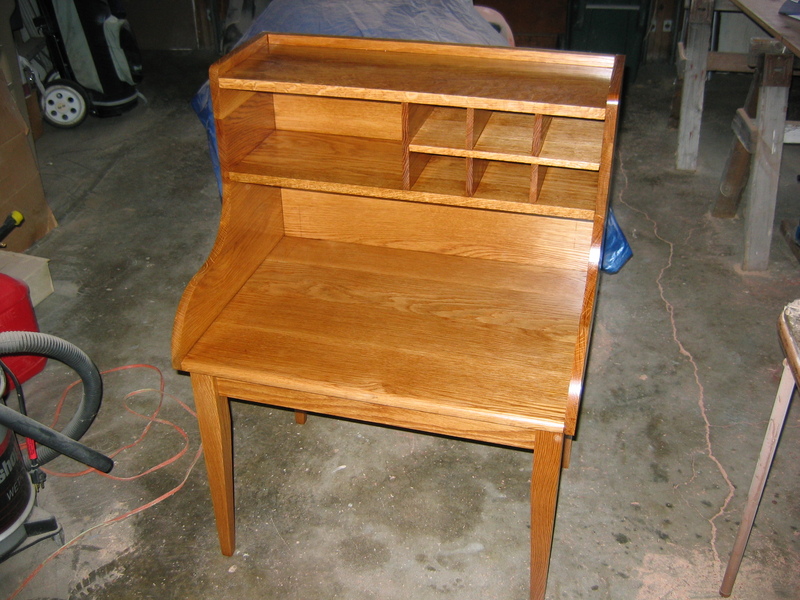 This chair side table I designed and built for my dad as he needed something smaller near his lounger that he could use to store books, magazines and newspapers, and electronics on, It’s made from solid oak. I now have it and use it as he passed away a number of years ago. I hope it stays in our family for centuries.